Need a Virtual Assistant? Let’s chat! We all know that happy employees are the most productive. Unhappy employees are unmotivated, do the bare minimum and fail to comply with rules and regulations. 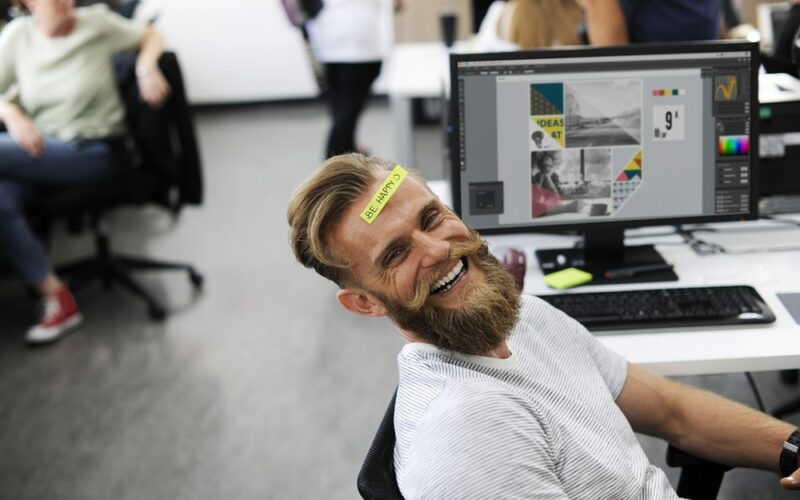 Staff morale is easy to check when you’re working in a normal office environment, but if you have virtual employees, it’s much difficult to notice when an employee is not happy. Working remotely can sometimes feel like you’re on your own with no support. To avoid such feelings, make your virtual employees feel like they’re part of a bigger team. You can do this by having a weekly meeting with all team members where you discuss what happened during the week, any future plans or changes and how they fit into the picture. Also, allow employees to collaborate with each other by making one role dependent on another. For example, if you have hired a Virtual Assistant who will be scheduling your appointments for you, have the other remote worker perhaps verifying the appointments and then sending out confirmations to clients. When employees feel that they’re collaborating with others, they will be less likely to feel demotivated. In the normal office environment, Managers are responsible for the team morale, but in virtual reality, this is simply not possible. To make sure that remote workers are happy, schedule a check-in meeting at least once a month. You can do this via Skype or even email. Work is work and personal life is private. We all get that, but in the end, whatever we’re going through at home tends to affect our work. It’s therefore important to establish some sort of personal relationship with your remote workers, making sure not to overstep boundaries. Normally, all it takes is for you to open up about your own personal life and they will reciprocate. Working in different locations makes it difficult to see each other, but we all know that human beings thrive on interaction. We are social beings and so meeting other people keeps us happy. It’s important to schedule a conference or group meeting with your virtual employees at least twice a year. Set this up in advance so there’s something they can look forward to. Just because they’re remote workers does not mean they should two times or even three times lower than a market-related salary. If anything, remote workers are highly skilled individuals. Show that you appreciate your employees by reviewing their salaries/pay rate and job scope regularly. Those are our top tips to working with remote workers. Do you have any further questions or are you looking for a remote worker? Let’s chat!